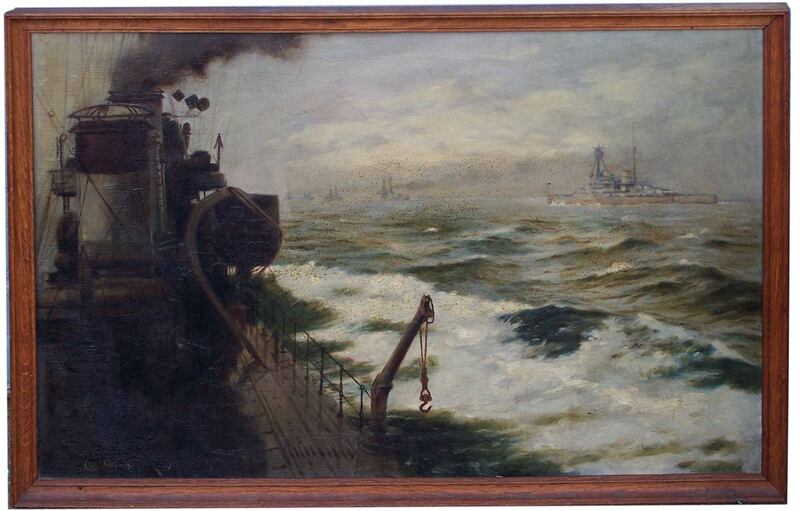 William J Allan Junr, Battleships in Convoy, original oil painting, 1919. Berwick-upon-Tweed, Northumberland, TD15 1HT, UK. (please enquire about our returns policy).